Several Clark County high school teams came through in the clutch on the penultimate day of the spring sports season Friday. Skyview baseball won to advance to the Class 4A state championship game Saturday. King’s Way baseball won, as well, returning to the 1A title game. In softball, the Camas Papermakers won two games to make it to Saturday’s semifinals at the 4A tournament in Spokane. In Selah, the Woodland Beavers dominated in their two games to advance to the 2A softball semifinals. UPDATE: Late Friday night, Columbia River boys soccer added to the triumphant day for Clark County with a victory in the Class 2A semifinals. There was a state champion from Ridgefield in track and field, joining a champion from Camas from Thursday night. In tennis, several Clark County players remain alive with a chance to win championships Saturday. The Storm scored three runs in the top of the seventh to give themselves a shot at the championship. Ryan Pitts hit a two-out, two-run single for what turned into the game-winner. Daniel Copeland had tied the game earlier in the inning with a single up the middle. Griffin Sissell opened the rally with a lead-off single. He moved to second on a sacrifice by Noah Guyette. Copeland then finished Wenatchee with a 1-2-3 bottom of the seventh, finishing his complete game. He struck out six and gave up one run in the fifth inning. Skyview will take on Richland in the finals at 4 p.m. Saturday at GESA Stadium in Pasco. This has already been a redemption of sorts for the Storm. A year ago, they lost in the semifinals and finished third. This year, the Storm are playing for the ring. The King’s Way Christian Knights know what it is like to play for a ring. They won it all last year, and now they have a chance to win it all this season. 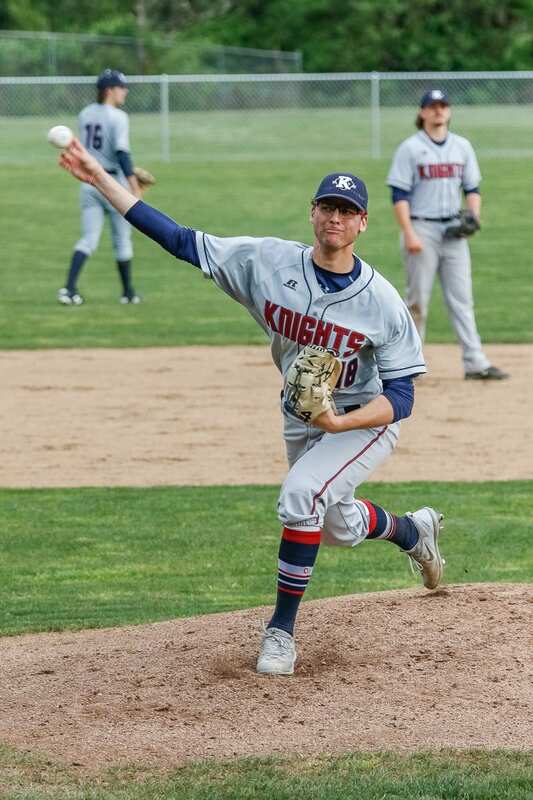 Damon Casetta-Stubbs was brilliant again for the Knights, striking out 13 in his four-hit shutout. The Knights scored all of their runs in the fourth inning, getting RBIs from Sam Lauderdale, Riley Danberg, Blake Scully, and Cole Sheretz. The Knights will try for their second consecutive state title at 7 p.m. Saturday at County Stadium in Yakima. Kennedy Ferguson did not give up an earned run in the two games, and the Camas Papermakers combined for 19 runs. That was a perfect combination for the first day of the Class 4A state tournament in Spokane. Sophie Franklin, Payton Bates, Cameron Besner, and Emery Miller each drove in two runs in the opener, a 12-1 victory over Moses Lake. Miller hit a pinch-hit, two-run home run. Ferguson struck out 10, working into the fifth inning before taking a breather in preparation for the quarterfinals. Then in the quarters, Camas pulled away from Newport of Bellevue for a 7-0 victory. Camas scored five runs in the sixth inning to be able to ease into the semifinals. Abbi Wong and Bates each drove in two runs. Ferguson threw a two-hit shutout, striking out 11. Camas will face Jackson at 10 a.m. Saturday in the semifinals. The winner of that game will advance to the finals, scheduled for 2:30 p.m.
Kaily Christensen hit two home runs in the opening round of the Class 2A state tournament in Selah, then hit another on the quarterfinals. Meanwhile, pitcher Olivia Grey was doing her thing, helping the Beavers reach the state semifinals. Grey struck out 18 in a 12-3 win over Port Angeles in her second game of the day, giving her 35 strikeouts on the day. Yes, she got 17 Ks in the first game. Woodland will face defending state champion W.F. West in the semifinals at 10 a.m. Saturday. These two teams battled to extra innings last week at the district tournament, with the Bearcats taking the win. The 2A championship game is scheduled for 2 p.m. Saturday. Meanwhile, Ridgefield fell into the consolation bracket after losing 1-0 to Ellensburg in another quarterfinal. Over at the 3A tournament, Prairie’s season came to an end with losses in the opening round and consolation bracket. It is official, as of Friday night, the Chieftains have never lost a final four match in boys soccer. OK, so this was the program’s first appearance in the semifinals. Still, it’s true. They have never lost at this stage. Maksim Yurichko, a freshman, scored the only goal of the match with roughly 20 minutes left to play, sending Columbia River to the Class 2A state final. Columbia River improved to 22-0 this season. Now, though, they are thinking about Saturday. If the Chieftains get to 23-0, they will earn the program’s first state title. The Chieftains will take on Burlington-Edison at 5 p.m. Saturday at Sunset Chev Stadium in Sumner. Daniel Maton of Camas won the Class 4A 1,600-meter run Thursday in Tacoma. He finished with a time of 4 minutes 7.5 seconds. Trey Knight of Ridgefield dominated the Class 2A shot put with a best mark of 61-feet, 11.5 inches. He had four marks beyond 60 feet. No one else in the competition hit 55 feet. 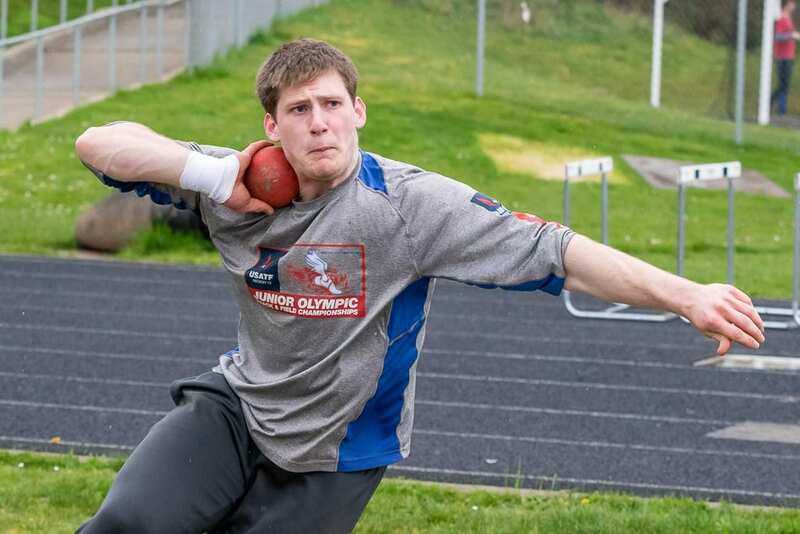 Lincoln Glick of Fort Vancouver won the boys discus ambulatory event with a mark of 49-feet, 11 inches. Mark Koryagin of Fort Vancouver won the boys shot put wheelchair division with a mark of 21-feet, 6 inches as well as the boys javelin wheelchair division at 63-04. Clark County is guaranteed to have at least one finalist in tennis. Gunnar Harlan of Battle Ground will face defending state champion Andrew Kabacy in a Class 4A boys singles semifinal Saturday morning. In 4A boys doubles, Chris Sheppert and Joey Gaylor of Skyview have made it to the semifinals. Spencer Cultice of Ridgefield is in the final four of the 2A boys singles bracket. In 2A girls singles, Faith Grisham of Columbia River is a semifinalist.